Giving someone iTunes credit lets them use it to buy music, audiobooks, apps, and other digital media on the iTunes Store or App Store. This form of credit usage is an easy pay-per-click process. The credit you give them stays in their account almost indefinitely until it has all been used. Give the gift of Apple Music through Apple's website — Apple's gift cards work for anything payable through the App Store, including apps, Music, books, games, and related digital subscriptions. Go to the Apple Gift Cards website and select to either mail or e-mail a gift card. Apple offers two types of gift cards: Apple Store cards, and App Store & iTunes gift cards. The two are not interchangeable; Apple Store cards are only honored for hardware and accessories. The App Store & iTunes gift cards work for digital subscriptions including Apple Music. Both types are sold on the same webpage; scroll to the bottom to find the App Store & iTunes links. This page includes a link to check your gift card balance, too. Pick a card design and a gift-card amount. In the Create your email message section, enter the recipient's name and email address, followed by your name, email address, and an optional message. Overtype the placeholders for the headline and the message. Click the Add to Bag button on the right of the gift-card page. On the checkout page, choose Check Out to finalize the purchase. You'll be asked to log in if you have an Apple ID, in which case the charge for the purchase will be applied to your account. If you don't have an Apple ID, choose the Continue as Guest option and then enter the payment information in the fields that are provided. Apple sends an email with your gift and an electronic representation of the Apple Music membership card. Any recipient who already has as Apple Music membership can apply the card to the music service to extend the membership or use it for other iTunes, iBooks, and app purchases. Apple will mail a physical gift card worth $25, $50, or $100 to your intended recipent, as well. Select the Mail a gift card link on Apple's main gift-cards landing page, instead. The sign-up process is similar, although you'll need to also supply your recipient's mailing address. Apple Music operates on a monthly subscription model similar to other premium streaming music services. Whether you listen to just one album a month or hundreds, you must pay a fixed monthly fee to access its features. 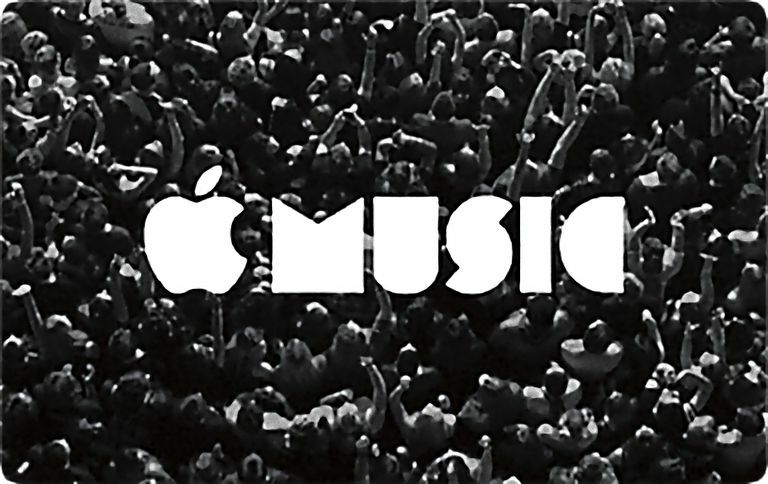 Apple Music offers more than 45 million songs, curated radio stations, and playlists. The gift card may be redeemed on iTunes, iBooks, the App Store, or the Mac App Store, in addition to subsidizing an Apple Music subscription.